Quick! 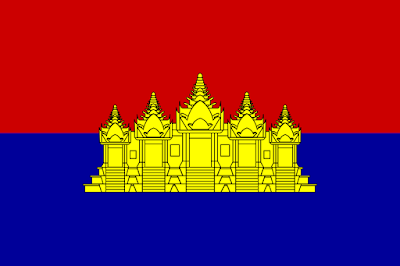 Name the only two flags in the world to feature a building! The Khmer Republic lasted from 1970-1975 when the forces of the Khmer Republic were overthrown by the Khmer Rouge, who used this flag- and changed the name of the country to Democratic Kampuchea. But wait, there's MORE... Vietnam invaded and overthrew Pol Pot in 1979 and then they adopted this flag and changed the name of the country yet again! 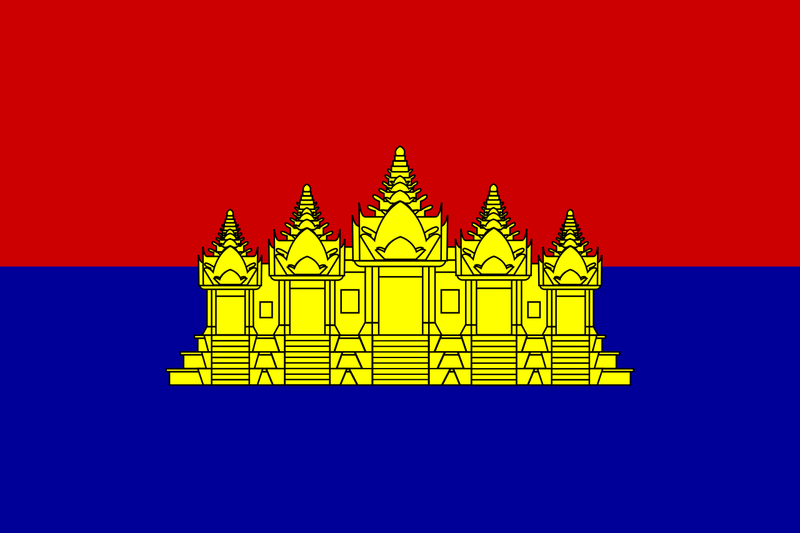 This time to the People's Republic of Kampuchea. And that gets us back to the flag being readopted in 1993. 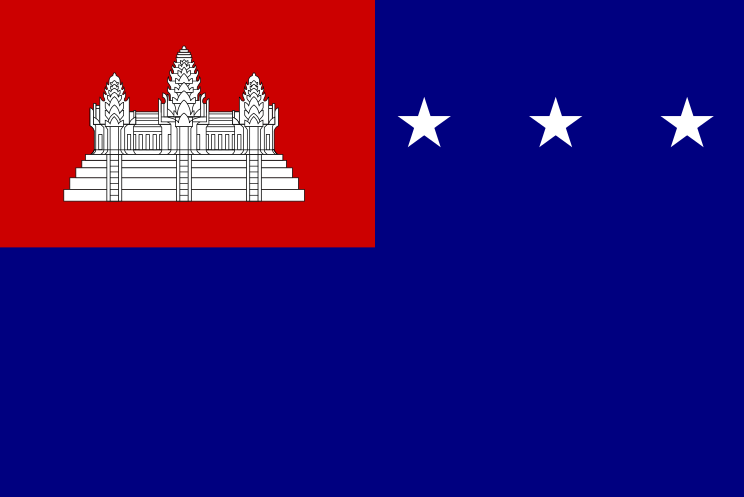 So between 1970 and 1993, Cambodia went through four different flags before ending right back up where they began in 1948. 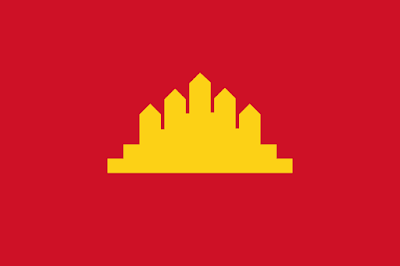 Weirdly, the flag adopted by the Khmer Rouge regime (officially called Democratic Kampuchea) was also used from 1982-1993 by the Coalition Government of Democratic Kampuchea which was an internationally recognized government-in-exile consisting of the three main Cambodia factions. 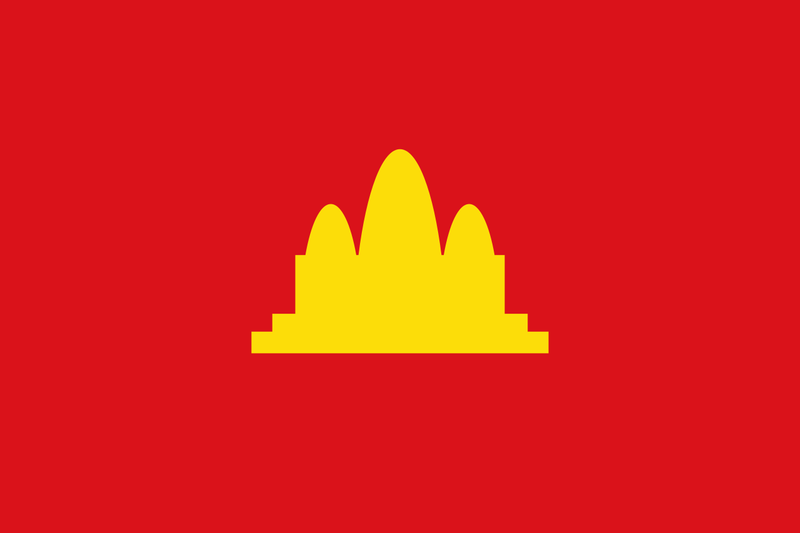 In terms of the overall design of the current flag, it's pretty simple. 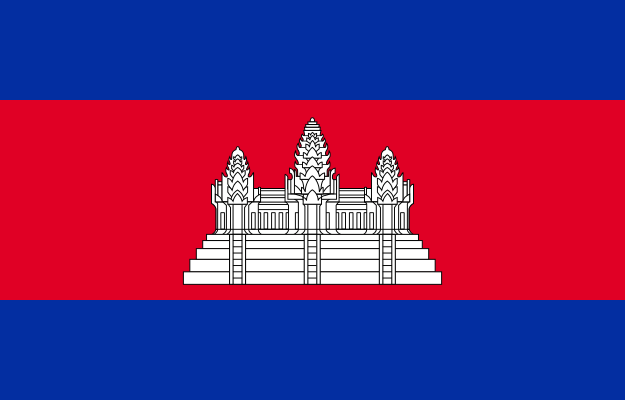 The Angkor Wat is an important national symbol of Cambodia and red and blue have long been considered traditional colors of the country. What's even more impressive is that despite decades of political instability, war and genocide, the overall design of the flag didn't shift all that much- hell, apart from the Khmer Republic, the color scheme hasn't shifted all that much either. That's the flag of Cambodia! Remember, until next time, keep your flags flying- FREAK or otherwise!